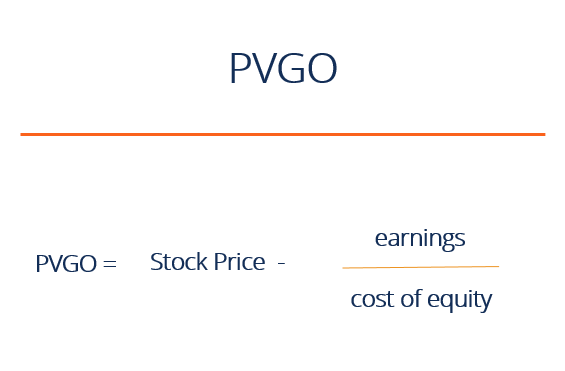 Present Value of Growth Opportunities (PVGO) is a concept that gives analysts a different approach to equity valuationValuation MethodsWhen valuing a company as a going concern there are three main valuation methods used: DCF analysis, comparable companies, and precedent transactions. These methods of valuation are used in investment banking, equity research, private equity, corporate development, mergers & acquisitions, leveraged buyouts and finance. Considering that valuation in stock markets is a combination of fundamentals and expectations, we can break down the value of a stock to the sum of (1) its value assuming no earnings reinvested and (2) the present value of growth opportunities. This approach uses the assumption that companies should distribute earnings among shareholders if no better use for it can be found, such as investing in positive Net Present Value (NPV)NPV FormulaA guide to the NPV formula in Excel when performing financial analysis. It's important to understand exactly how the NPV formula works in Excel and the math behind it. NPV = F / [ (1 + r)^n ] where, PV = Present Value, F = Future payment (cash flow), r = Discount rate, n = the number of periods in the future projects. Think of a company with a required return of 12.5%, $57.14 market price and expected earnings of $5 per share. Here, we can clearly see that 43.8% of the price observed can be attributed to expectations for Google to grow, enter into new projects and to even keep determining the pace at which other industries move, while McDonalds’ value seems to be perceived as more established and in a difficult position to grow, as the industry becomes saturated and competitors enter the market, along with negative sentiment towards fast food chains. The value of this analysis comes in many forms. First, it can serve as confirmation of the stage where a company is and to differentiate mature from growing companies. Additionally, it can help the analyst understand if the current price of a stock is justified, i.e., for a company in a highly saturated market and reduced growth opportunities. 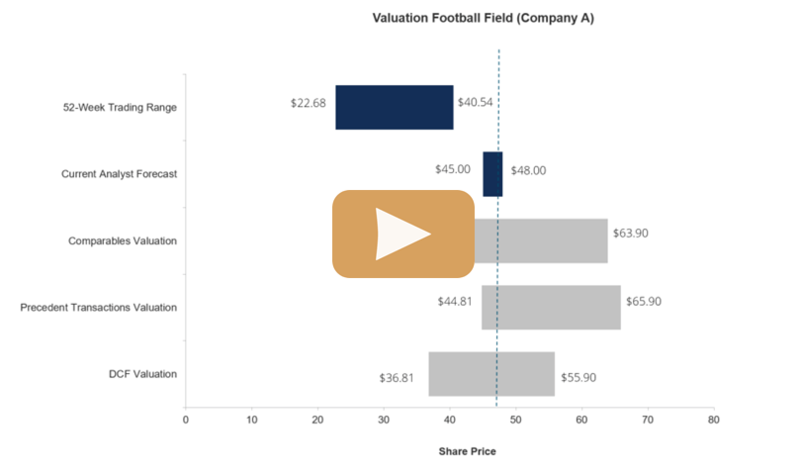 This has been a guide to Present Value of Growth Opportunities (PVGO) as an alternative way of thinking about stock valuations. CFI is the official global provider of the Financial Modeling and Valuation Analyst (FMVA)™ certificationFMVA™ CertificationThe Financial Modeling & Valueation Analyst (FMVA)™ accreditation is a global standard for financial analysts that covers finance, accounting, financial modeling, valuation, budgeting, forecasting, presentations, and strategy. designed to transform anyone into a world-class financial analyst.